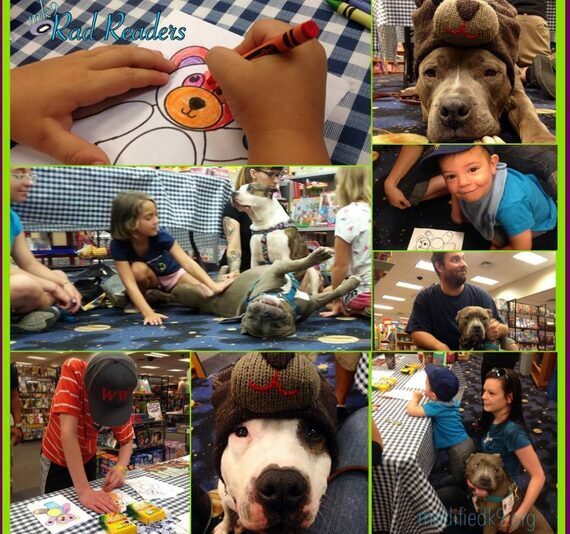 K9 Rad Readers | Modified k9 Inc. 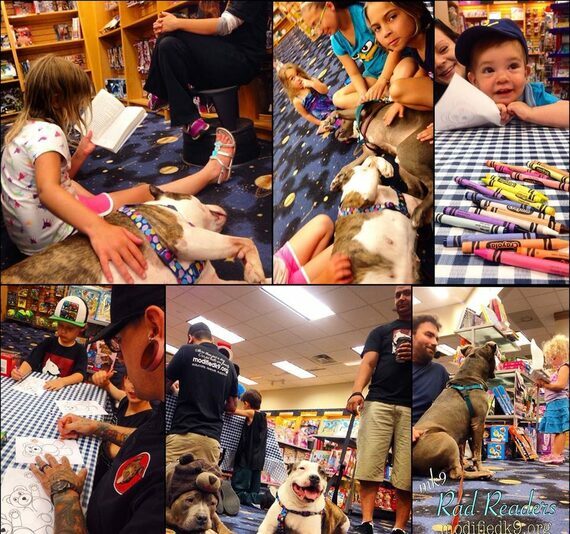 The goal of Modified k9's "K9 Rad Readers" program is to help improve the literacy of children through the assistance of our mentor dogs and to touch on the child's creative side with our art and illustration outreach. .
All of the dogs aiding us in this program are registered Canine Good Citizen's and some are even part of our registered Mk9 Therapy Dog Team. 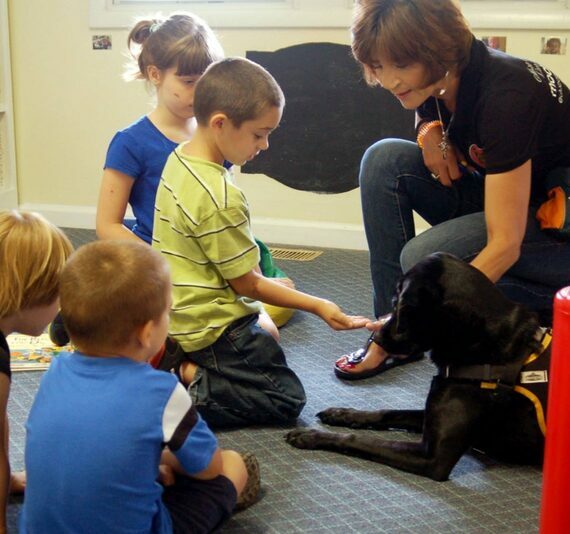 Our K9 Rad Reader dogs also accompany us in our K9 Kid 101 & Rise Above programs. 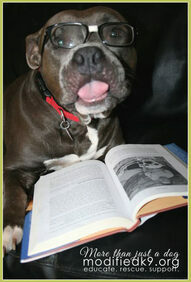 These dogs that are joined by their owners all meet strict guidelines relating to health and temperament. 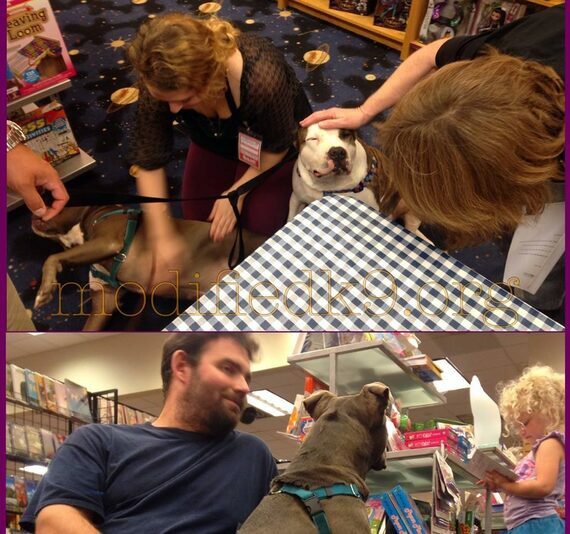 Our dogs are friendly with people of all ages and tolerate the precence of other dogs. If you are interested in exploring this field with your dog and need to pass the requirements, please see our training page and contact Beth with any questions regarding classes. Derek Zielinski of Modified k9 leads this section of our program. 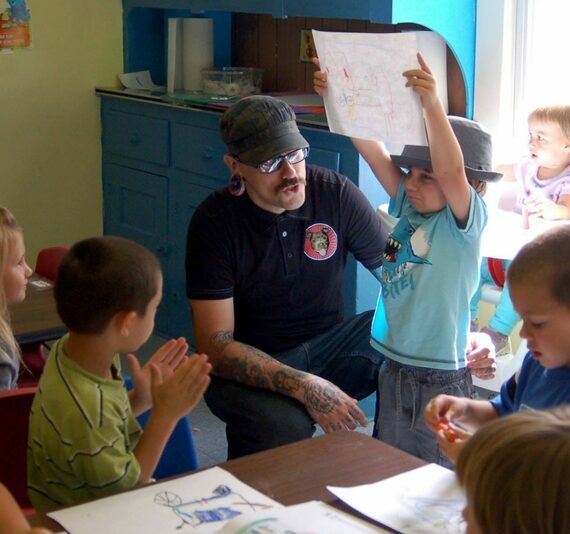 With over 15 years experience in the art and outreach industry he offers multiple outlets for creativity. Getting the children involved with different mediums and showing them how to expand their imagination through their own art creations. After the children read their stories, the art section of this program helps them comprehend what they have read and communicate it visually. In addition giving them a keep sake to take home to share with their family. 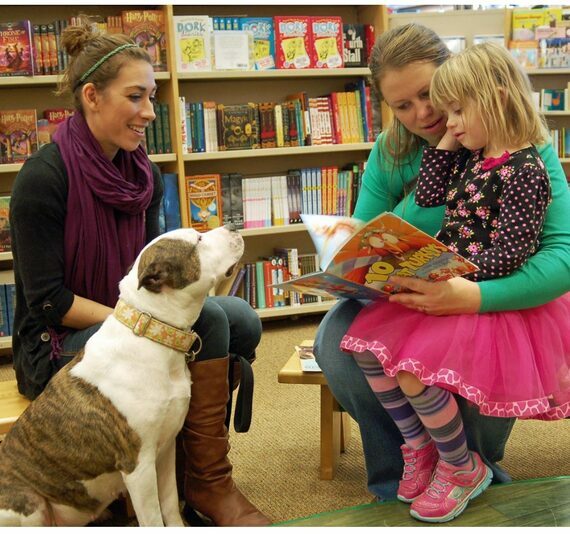 Reading to dogs can boost reading skills in children as well as help with emotional and social skills. 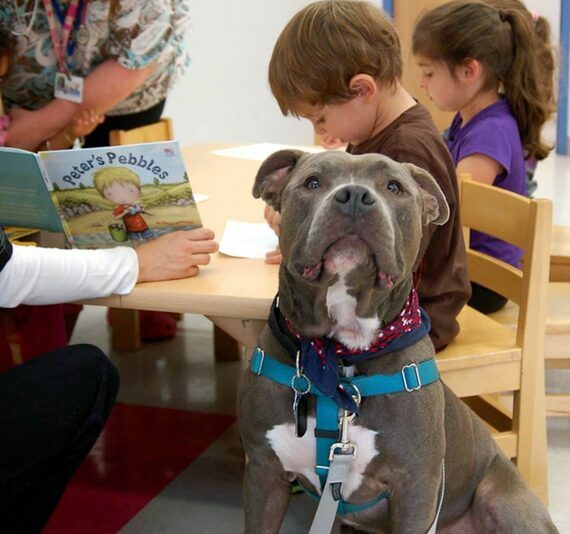 In 2010, the University of California - Davis Veterinary Medicine Extension conducted a study to find out if reading to dogs could really improve reading skills in children. 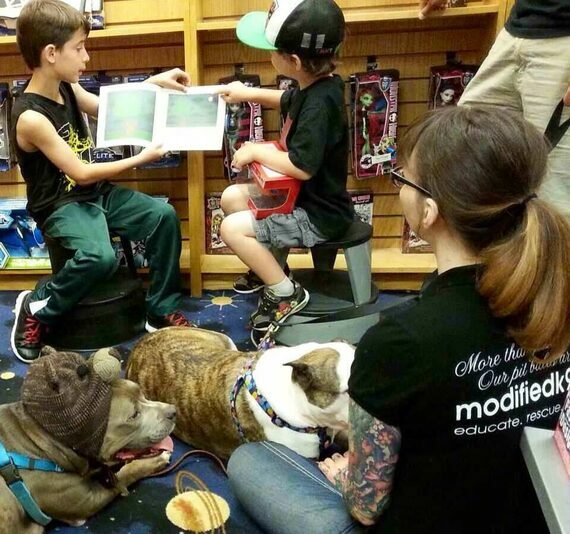 They had noticed that there was not a lot of research that had been done on the topic, other than testimonials from children, parents, librarians, and teachers. 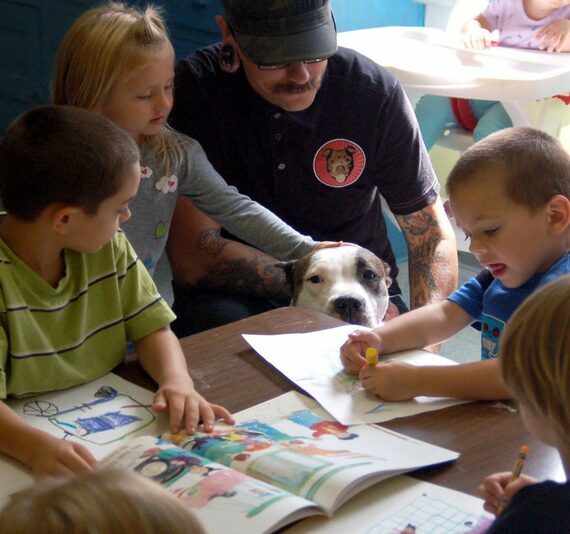 They worked with Tony LaRussa's Animal Rescue Foundation (ARF) to test and evaluate ARF's All Ears Reading Program. Studies were conducted with a group of third grade students at an elementary school and also a group of home-schooled children. 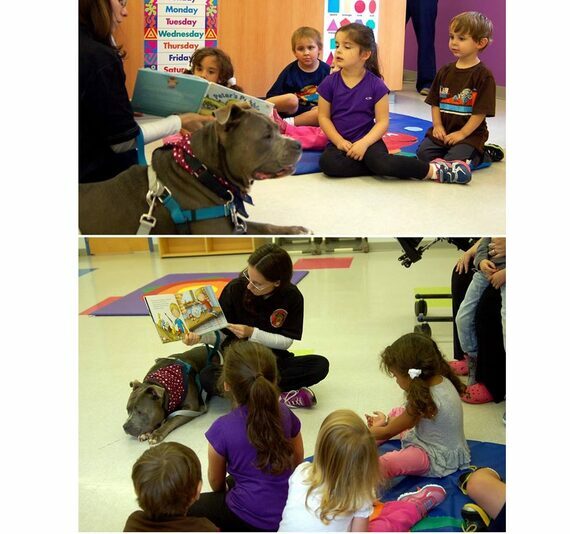 The program lasted for ten weeks and the children read to the dogs once a week for approximately fifteen minutes, after having a few minutes to sit with the dog. 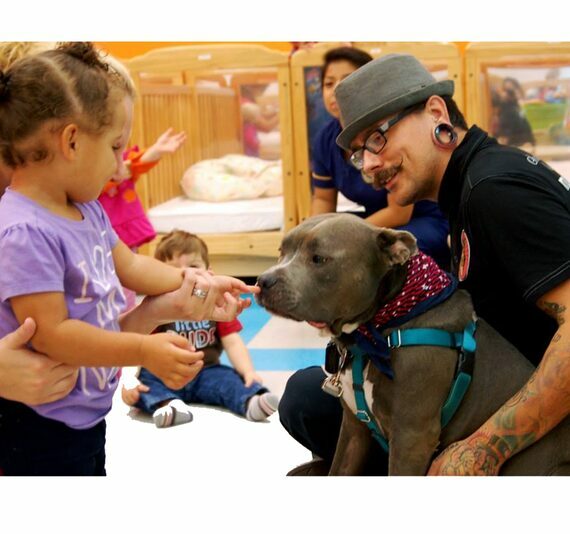 Two UC-Davis undergraduates who were trained to work with animals supervised the sessions. In order to evaluate the readers, the Oral Text Reading for Comprehension Test was administered before and after the ten week session to evaluate reading fluency. In the school setting, the readers improved their fluency by 12%, while the control students did not increase their fluency at all over the same time period. Overall, the home-schooled readers increased their fluency by 30%. Qualitatively, the participants in the program believed it was a huge success. 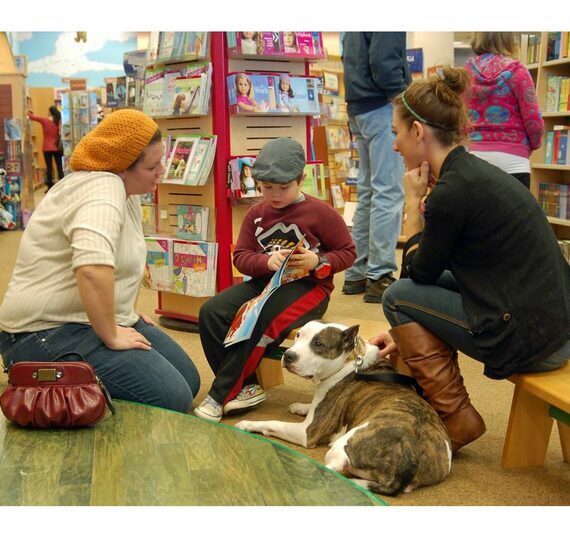 Before the program started, many of the young readers didn't feel good about reading aloud. 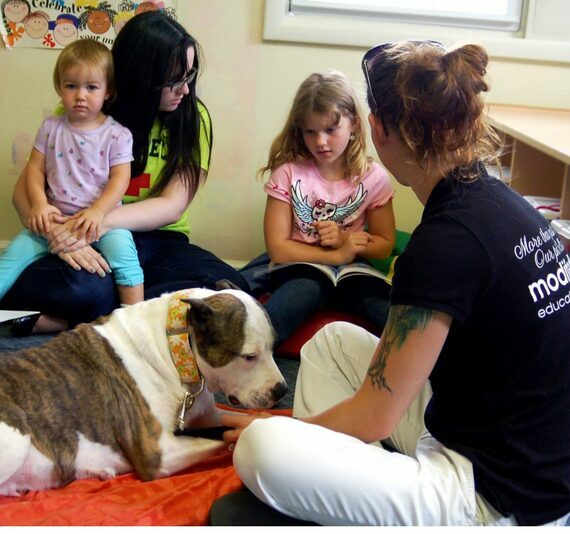 Afterwards, they felt more confident in their reading skills and also felt safe when reading to a dog. Their opinions of reading changed from feeling uncomfortable and self-conscience before the program to proclaiming that reading was much more enjoyable for them now.